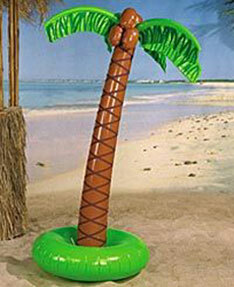 43 x 70 inch inflatable palm tree on a 31 inch round inflatable base. Makes a great luau party decoration. $8.75 each for 24 or more.